We are the inventors of our own destiny. If we want something, we have to go out and get it. We have to be fearless in our pursuit of justice and fight against oppression, no matter the cost. Born into a working class family in Toledo, OH, Dominick experienced oppression at a young age. His first memories revolve around oppressive doctors explaining how he’d never be normal. He was just four years old, at the time. Entering school did little to help, as he was instantly the target of bullies. Bullied viciously throughout most of his Elementary, Jr. High, and High School years, Dominick had no comprehension this would teach him the life skills to survive nearly a lifetime of oppression by even bigger bullies, including the government (who people with disabilities are in an ongoing fight with, to ensure they maintain what rights they have and seek out the things they need to make further steps towards equality). At six, Dominick talked about killing himself and wishing himself dead, due to the excessive amounts of bullying, and at 19, he attempted to try to kill himself. Unsuccessful and frightened by the lack of all emotion or feeling he had felt when trying to harm himself, Dominick knew he had to do something if he wanted to survive into adulthood. Taking the anger, pain, and hurt, Dominick started making friends and connections in the disability and LGBT communities, building up an arsenal of friends in activism, from all over the world! Dominick spent his collegiate years, at Wright State University, studying political science, around the world, with an emphasis on civil rights. It was during debates in his many political science classes, which allowed him to hone his debating skills, and build up a knowledge base, with information he has employed throughout much of his activism work. Dominick also served on student government, as the Dir. of Disability Affairs. He introduced the first Disability Fair, where participants were given a better understanding of life with a disability. As a bonus, everyone was treated to a filmed social experiment, of which Dominick was the the brainchild, where he made participants guess which person actually had a disability, in an effort to show the similarities between people with disabilities and those without. In his role, on student government, Dominick successfully worked with many different members of the school staff, to successfully get the first family restroom installed, on campus. This bathroom would allow for people with disabilities to use the restroom with their PCAs or nurses, and included ceiling sure lifts and sling lifts, as well as plenty of room for wheelchairs, and other mobility equipment, to navigate. The bathroom also made it possible for transgender students to have a safe place to use the restroom, on campus. His initiative also led to administrators promising that all new buildings would have family restrooms, in them. Dominick unsuccessfully fought to make a campus walkway more accessible, or to get the school to adopt a prefered policy so transgender students did not have to out themselves. During his first time in college, Dominick participated in the LGBT organizations at Wright State, Bowling Green State University, and, later on, the University of Michigan – Flint. At Bowling Green, Dominick was among the first groups trained in a new program on campus, to give panel discussions on LGBT rights and issues. When he transferred to Wright State, he was part of the group that brought these panels, as well as the safe space program, to WSU. He was an active member of panels at both schools, and participated again when he returned to Wright State, nearly a decade later. Dominick has been active in the SMA and MD communities, as an outspoken advocate of independence and equality. 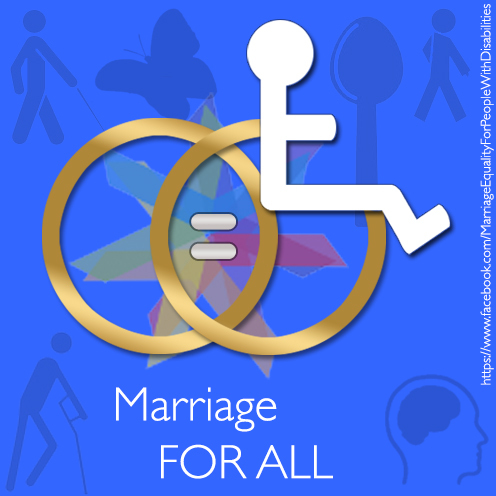 He helped to start the Marriage Equality movement, for people with disabilities, who often face harsh penalties when they attempt to get married. He also is the founder of #FilmDis, a weekly twitter chat, which explores issues related to disability and film. 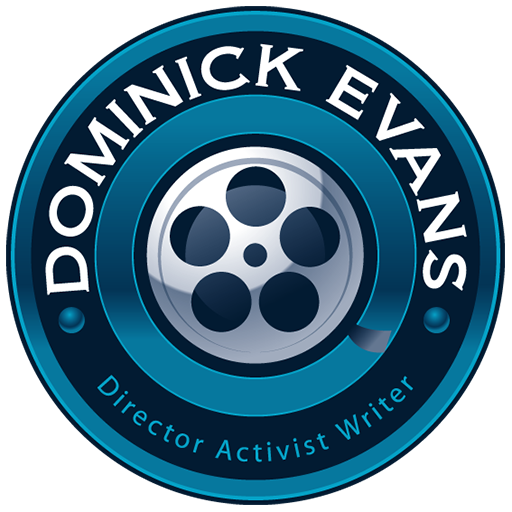 As a filmmaker, most of Dominick’s work represents an aspect of social justice. He has studied the issue of disability in the film community, actively. He has spent hours and hours watching hundreds of films about or including a disability, and in writing papers on the subject, for the past several years. He has consulted on multiple media projects, as an expert on disability and LGBT issues, including two films on disability. He maintains a strong connection with actors and other filmmakers with disabilities. He recently spoke at the FilmDayton FilmConnections meeting, on the topic of disability of film. He has spent over half a lifetime giving speeches and presentations on both issues of disability and LGBT rights. In June 2014, Dominick was invited to the White House for the first conference on disability and LGBT issues.